Starting producing workflow diagram from template you save time and avoid the blank page syndrome. ConceptDraw DIAGRAM extended with the Workflow Diagrams solution delivers a rich set of workflow diagram templates and samples help you draw diagrams faster. ConceptDraw DIAGRAM software and Workflow Diagrams solution are set of the professional drawing tools for drawing workflow diagram. To make easier the study and analysis of working processes and for presenting them in a simple visual manner, workflow diagrams are often used. With the help of workflow diagram templates it is possible to make simple start use this type of diagram in own work. 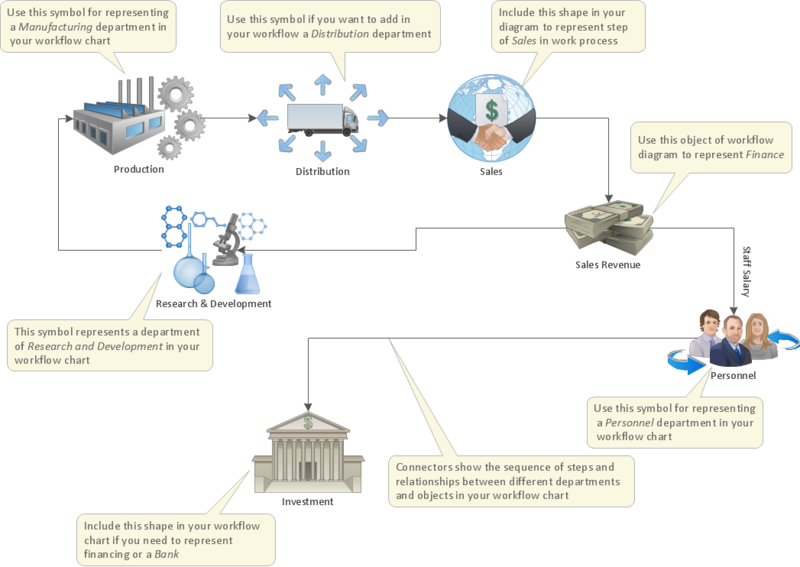 Pic.1 Workflow diagram - Workflow Template.